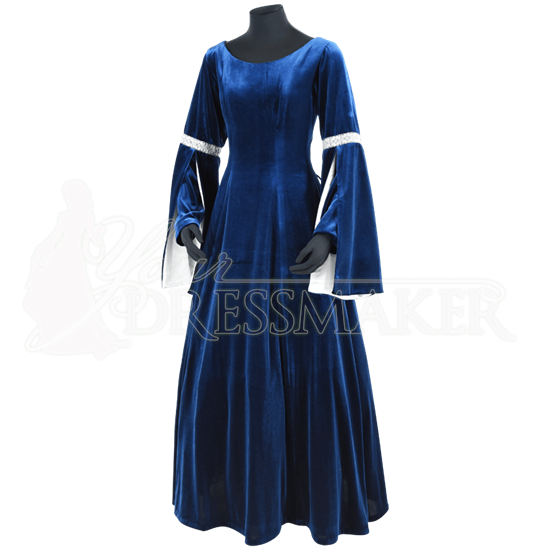 Befitting ruling ladies, princesses, and women of nobility, the Royal Velvet Renaissance Dress is lush and resplendent in its make with a style inspired by medieval and fantasy silhouettes. This elegant gown is lined with soft satin. Metallic jacquard trim in your choice of gold or silver decorates the elbows of the layered, hanging sleeves. These hanging sleeves are draped over close-fitting long sleeves, creating a dimensional style. A variety of colors are available, each decorated with gold or silver trim. Choosing between gold or silver for the trim will also dictate the color of the satin lining. The gold trim options are lined with gold satin, and the silver trim options are lined with white satin. Princess seams create a fitted bodice underneath a round neckline, and lacing in the back is adjustable to suit your shape. The long, full skirt of the gown looks best when supported by a petticoat like our A-Line Petticoat (MCI-145), sold separately. 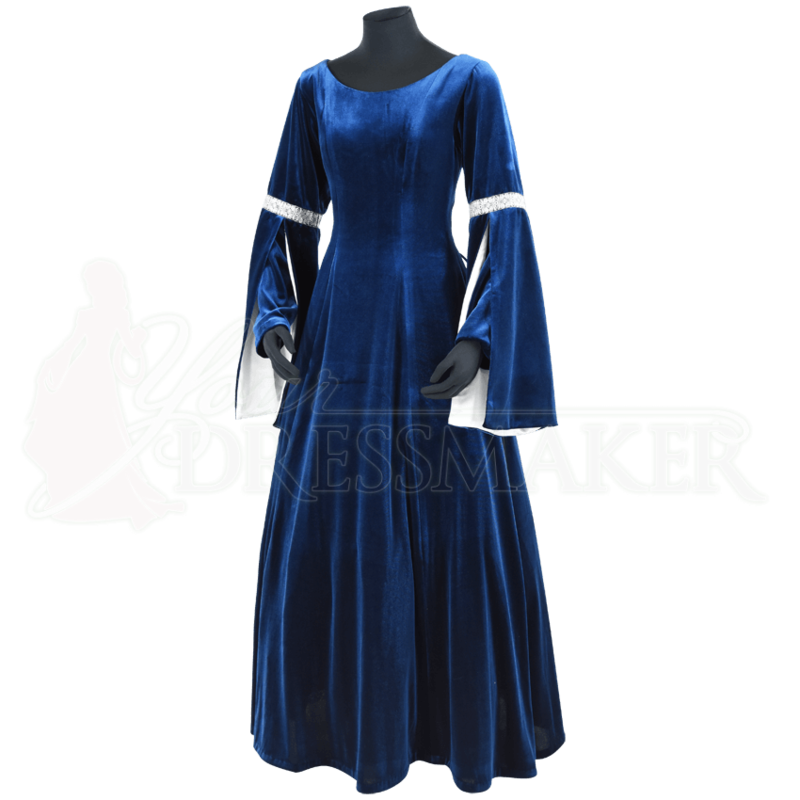 Whether you are a noblewoman in the halls of your castle or a princess of the forest, wear this medieval velvet dress for unbeatable elegance. 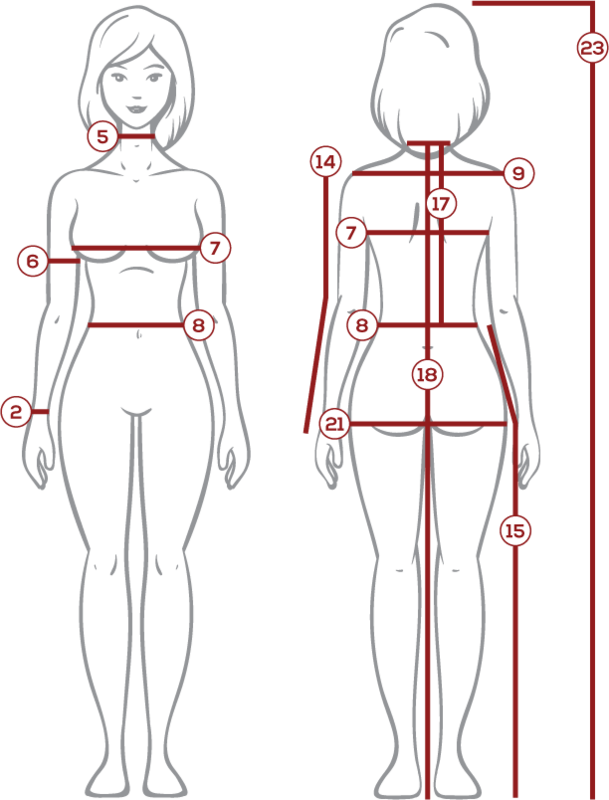 The color selection is for the main color of the dress. The accent color selection is for the trim and sleeve lining colors.